Modernize your space with a functional, contemporary image. 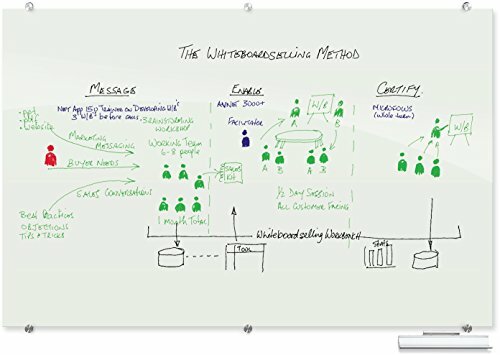 Magnetic glass board provides the best of a quality whiteboard with smart style. Borderless and seamless design. Surface and coloration are engineered to have ideal optical qualities and exhibit good depth of field, contrast and ambient light toleration. Compatible with any dry/wet-erase marker and grease pen. Easily cleans without ghosting or staining. Board Type: Magnetic Wet/Dry Erase; Board Width: 96"; Board Height: 48"; Board Depth: 1/8".